This product should be in everyone’s skin care routine! It gets rid of everything, & it is gentle enough for the most sensitive skin. I love that is doesn’t have a scent so you can already tell it is gentle. You need to pick this up ASAP! I use this every night to take my make up and just to wash up after a day out. This baby takes the toughest mascaras off! It does burn my eyes though, so I am currently looking for a new eye make up remover, but it really works! It gets me ready to cleanse my face without trying to scrub off my mascara. I use this most nights (I won’t lie, I tend to forget) I use this before cleansing my face, just to get all my eye make up off instead of washing my face twice, trying to get everything under my eyes. 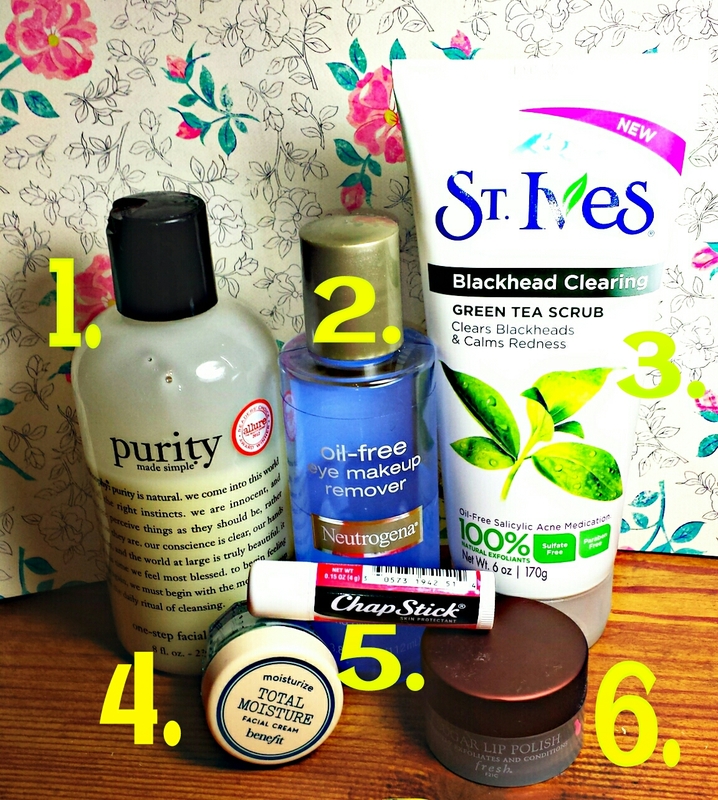 This & my purity made simple cleanser are my everything! It will never leave my skin care routine. It exfoliates my skin without the harsh scratch, plus it smells good! I use this, 2-5x a week. I’ll use this 5 times a week when I am breaking out and I really want that sucker gone! Other than that, I will use this twice a week just to rejuvenate my face. That price up there is for the big jar, but I have a mini sample. I got this during the holidays when it came in a trio I believe. I just want y’all to know a little goes a long way so I know that $42 jar will not budge for a while! I use this after cleansing my face, most nights, when I feel that I need the moisture, since I tend to be oily most days. This baby is P R I C E Y! I mean for a little jar but it will last forever. I love the lip products from Fresh, they are so hydrating and they really help your lips. What I love the most about this lip scrub is that it smells like TAMARINDO. This is a mexican candy and it is delicious! lol So I have no complaints about the scent. I use this 1-2x a week, just depending on how the weather is treating my lips. I hope you all enjoyed reading about my night time routine! Don’t be afraid to leave your suggestions down below, for videos or things I should try out! Let me know what you think, and follow my instagram and twitter; info is in the sidebar!